Bake crescent rolls as directed on can. Cool. Lightly spray 4 mini (4-inch) baking dishes or one 8-inch (2-quart) glass baking dish with cooking spray. 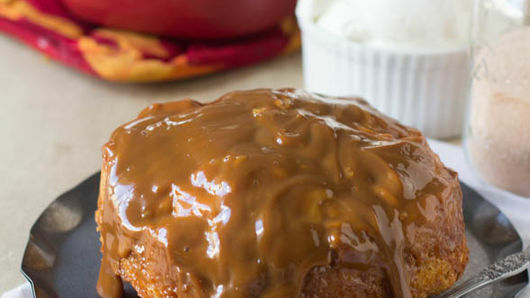 Divide and spread dulce the leche evenly among mini dishes or spread in baking dish. Using 4 rolls per mini dish or all rolls for baking dish, tear baked rolls and fill dishes/dish. 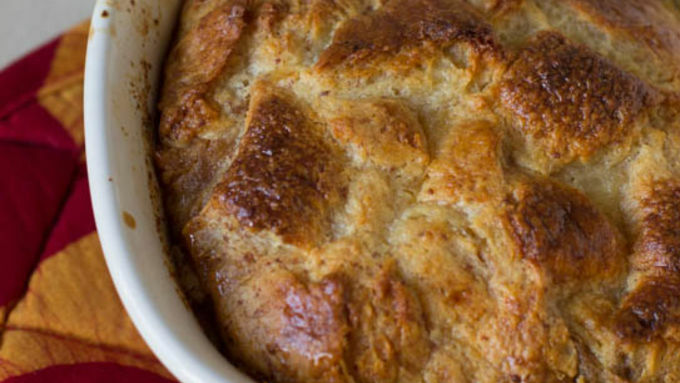 In medium bowl, stir together remaining Bread Pudding ingredients with whisk. Pour evenly into mini dishes, pressing bread down a little as you go. Refrigerate 1 hour, pressing bread down lightly after 30 minutes. Heat oven to 350°F. Place mini dishes or baking dish in roasting pan or large cake pan; fill pan with water halfway up dishes/dish. Carefully place pan with dishes/dish in oven. Bake 1 hour 25 minutes or until set. Carefully remove from oven; cool 1 to 2 minutes. Remove dishes/dish from water bath. 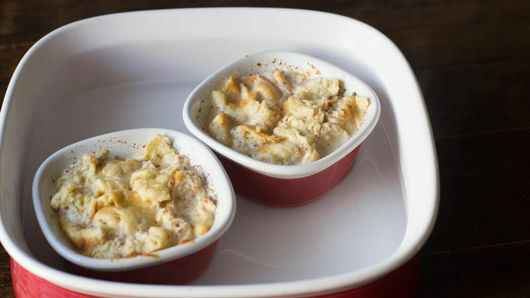 To serve, place small plate over each mini dish or 1 large platter over baking dish; flip bread pudding out of dishes/dish onto plates/platter. 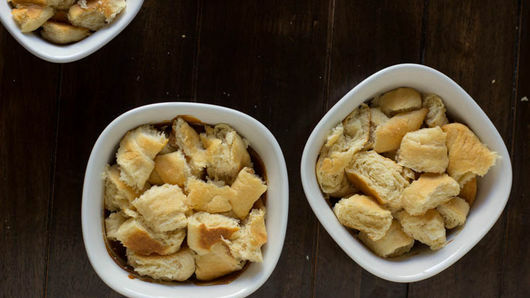 Spread any remaining dulce de leche from dishes/dish on top of bread pudding. 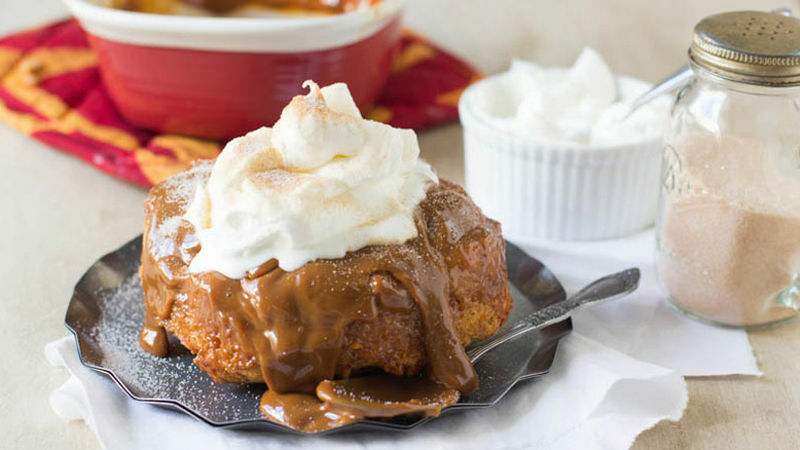 Serve warm topped with whipped cream; sprinkle with cinnamon-sugar. Store in refrigerator. If you can’t find dulce de leche in the cultural foods aisle of your store, try making your own by filling a baking dish with sweetened condensed milk and tightly covering with foil. Place the baking dish in a roasting pan and fill the roasting pan with water, three-fourths of the way up the dish. Bake at 425°F for 1 to 1 1/2 hours, checking every 30 minutes for a caramel color. If you don’t have time to make dulce de leche and you can’t buy it, just substitute 1 bag of caramels with 1/3 cup evaporated milk, microwaving on High at 30-second increments until the caramels can be stirred smooth.